Thank you to Ca’ Maiol Winery for sponsoring this post. The following message contains opinions that are my own and is intended for those 21+. Please enjoy responsibly! 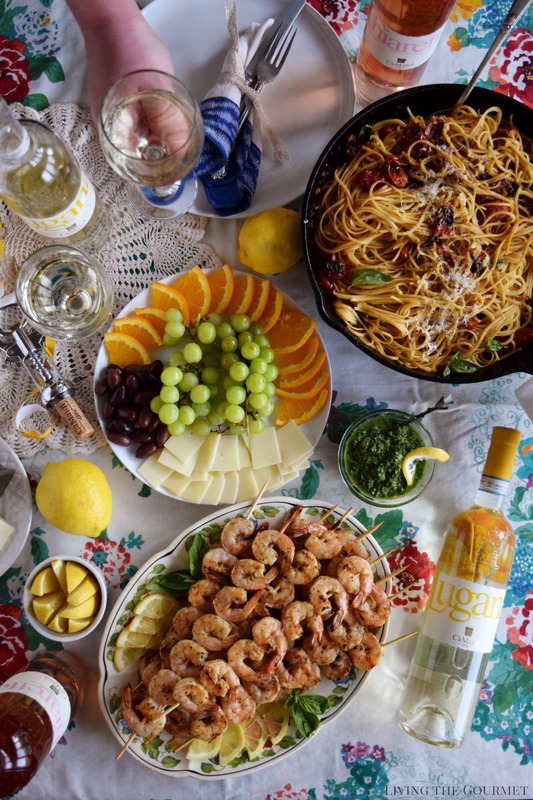 We’ve officially welcomed summer at LTG with a fresh, seasonal spread of Grilled Shrimp and Gremolata as well as a pan of our favorite pasta. To tie it all together, we paired it alongside a beautiful selection of whites and rosés from Ca’ Maiol Winery. Certain things, either for the sake of tradition, setting ‘moods,’ simple circumstance, or by some cosmic predestination of fate, are plainly meant to go to together. From my own, admittedly biased point of view, balmy days and sunshine have always gone hand in hand with platters of mezes or tapas served seaside in the shade, or with a grand antipasto tablescape. These would, of course, be paired with an appropriately refreshing wine, whether a single bottle or as a sweating pitcher of sangria. While there are certainly precious few things better in this human condition of ours than nursing a cold drink over an afternoon plate of squid, the true value of such plates is the mood they set. Alone, they lift the soul, allowing the eyes to drift along the crests of the bay, watching one’s life peek and break along the waves cast by the summer breeze. 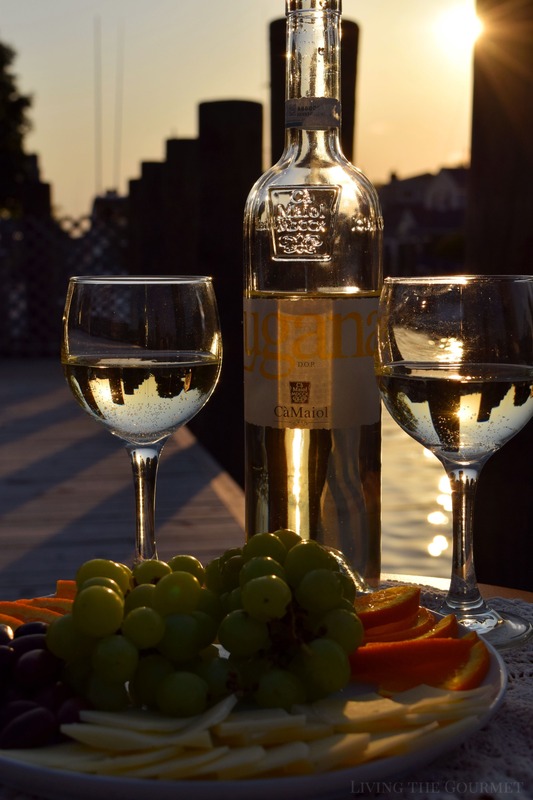 With the right company and the proper pairing, they conjure lazy conversation and drowsy smiles as the sun sets beneath the sea. However, regardless of what’s on the plate, the most important ingredient in savoring a moment, in creating a profound and lasting memory out of an otherwise ‘ordinary’ instant, is simply the care behind both what’s on the plate and how it’s enjoyed. Drear and awkward staring can be transformed into a heartfelt exchange, even if it means finding the beauty in a sweetly unbroken silence, while an otherwise ordinary plate can become a crowning achievement as a late afternoon transforms into a starlit evening. For the heart guides the hand, el corazón guía la mano, and it is the hand that prepares the plate. This, of course, brings us to today’s pairing, Grilled Shrimp Skewers with an Herbed Parsley Gremolata served alongside a Fresh Tomato and Basil Sauce over Linguine, which we’ll be pairing with a selection of summer-apropos wines from Ca Maiol. For precisely this purpose, we received four bottles from Ca Maiol Wines – a 2016 and a 2017 Lugana white wine, along with a pair of Valtenesi Chiarettos, a 2017 from the Riviera del Garda Classico DOP, and a 2016 from the Valtenesi DOP. All things pink being first, we’ll start with the 2016 Valtenesi. The wine introduces itself with a very light salmon pink coloration, which is nearly translucent in the glass in direct light. 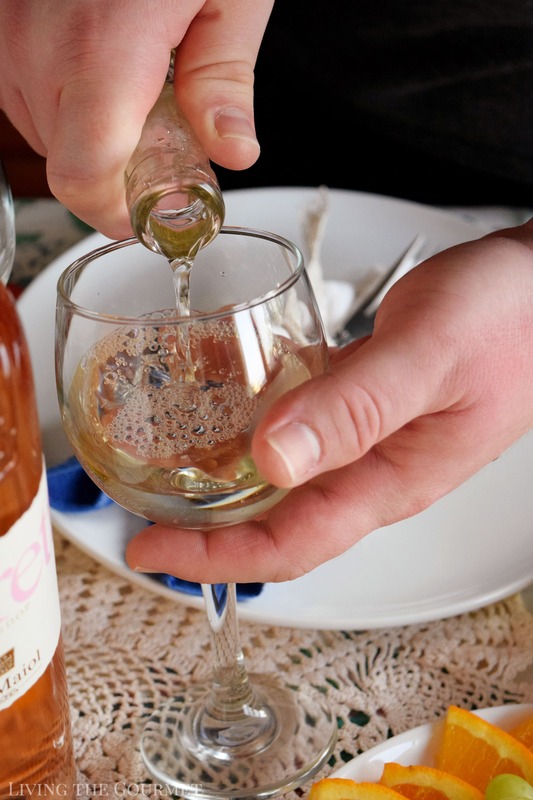 Off the top of the glass, the wine is very ‘light’ in its greeting, with floral notes of fresh summer flowers set alongside red spring or summer fruit such as sliced strawberries, and ever so vague hints of vanilla-laced nuttiness in the background. 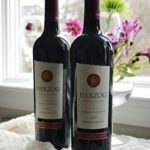 On the palate, the wine is surprisingly even-bodied, retaining its soft nature without being frail or easily overpowered. The 2017 variety largely shares these characteristics, but with a slight emphasis on the floral qualities. For pairing, think light fish, crisp dark salads topped with chopped nuts and dressed with a mild vinaigrette. Onto the 2016 Lugana Ca Maiol. 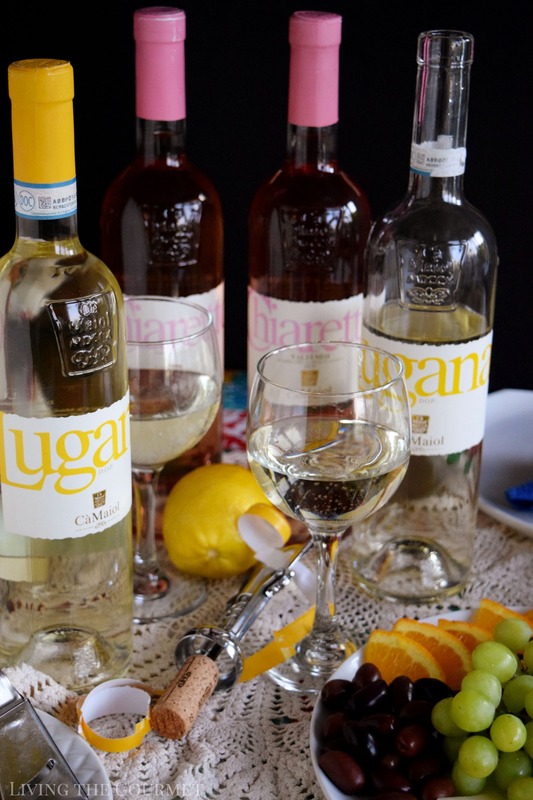 The Lugana introduces itself with a pale to clear straw yellow hue, with aromas of white fruit and zest off the top of the glass, with hints of white flowers or cut grass in the background. 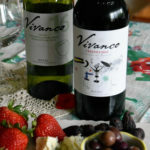 On the palate, the wine features a bright acidic profile, carrying very robust mineral notes, which create an overall refreshing mouthfeel and a lasting finish. 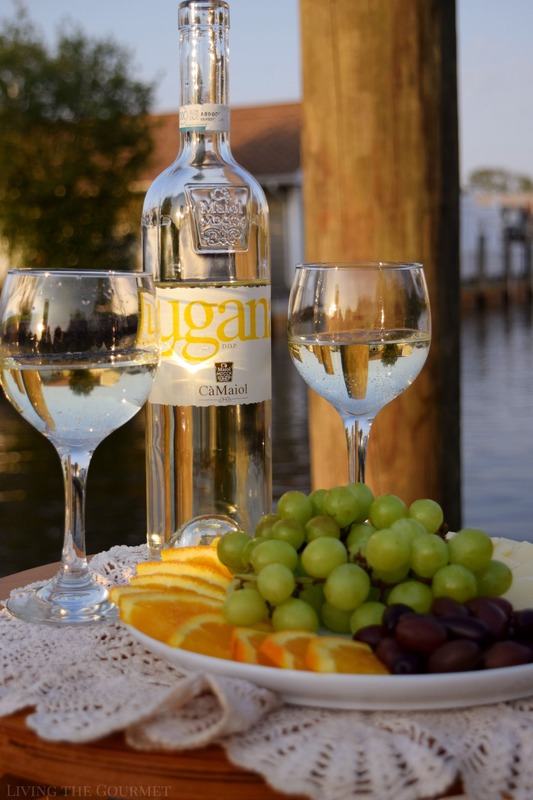 The 2017 Lugana Ca Maiol also introduces itself with a pale to clear golden hue, however its aromatic profile differs quite pronouncedly, featuring thinly spaced notes of summer or tropic fruit, punctuated by hints of vanilla and nuts. 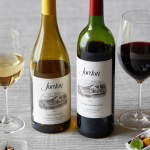 On the palate, the aromatics largely carry over, though it remains grounded in its fruit notes throughout, and ends on a lasting and refreshing finish. 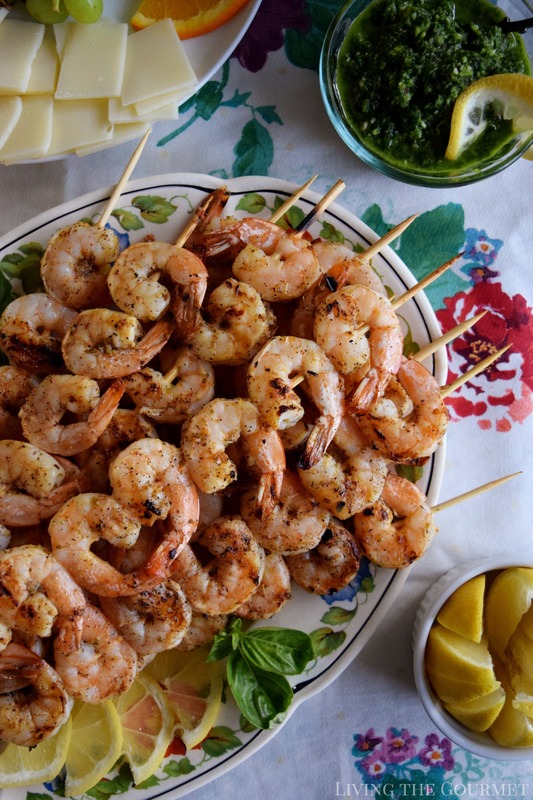 Naturally, that brings us to today’s star recipe- Grilled Shrimp and Gremolata. To start things off, we begin by prepping our skewers. You can skip this step if you use metal skewers, but I personally prefer disposable wooden skewers. To prep them, leave them soaking in water until the last minute when you assemble the shrimp on them. To begin, we start with the marinade by combining black pepper, coarse salt, dried oregano, paprika, fresh lemon juice, freshly grated garlic, and olive oil, and then whisk that together. Then add in a pound of large shrimp, peeled and deveined, and let that sit marinading in the fridge for about an hour. Then thread the shrimp onto the skewers as shown below, and grill them either on the barbecue or on a stovetop griddle at high heat. You’ll want to grill them for about two and a half minutes on each side. Since the shrimp grill up so quickly, you’ll probably want to save the grilling for the last minute in order to serve the shrimp hot alongside the pasta. This shouldn’t be a problem though, since you can leave them marinating until you set them on the grill. For the gremolata, simply combine a handful of fresh basil with one head of cleaned, destemmed Italian parsley, along with fresh garlic, red pepper flakes, salt, ground black pepper, grated Romano cheese, honey, fresh lemon juice, and olive oil in a food processor. Then process until you’ve reached the desired consistency. Taste for seasonings, and adjust to your preference. 1 head of Italian parsley – cleaned, stems removed and pat dry. Whisk all the ingredients for the marinade in a bowl. Add the shrimp and toss. Thread the shrimp onto the skewers. Place the rest of the marinade over the shrimp. Cook time should take about 5 minutes, turning once. Combine all the ingredients for the Gremolata in a food processor and process until the desired consistency is achieved. 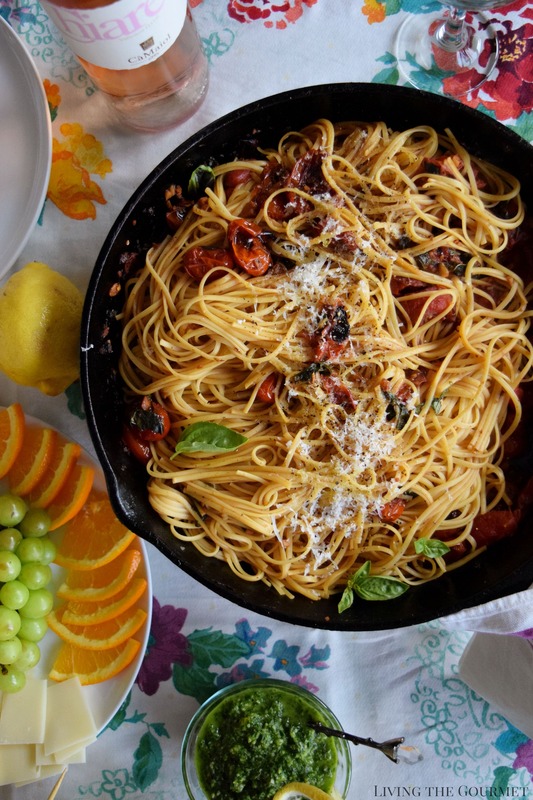 Now, it’s time for the Fresh Tomato and Linguine. We begin by heating a large cast iron frying pan, and then blistering the cherry tomatoes as shown below. Simply heat the pan dry, set the tomatoes along the bottom of the pan, and let them blister. Once that’s been achieved, drizzle olive oil over the tomatoes, and then carefully press down on each tomato with a spoon to let them ‘pop.’ Once that’s done, add in the garlic, the basil, and the seasonings listed below, and let that sauté over a gentle heat. While the sauce is sautéing, prepare the pasta water with a copious amount of salt, and cook your preferred pasta to your preferred texture. While the pasta is cooking, ladle about six or seven tablespoons of the hot pasta water into the sautéing sauce. Once the pasta is cooked, carefully lift the pasta into the sauce and toss until the pasta is well coated in the sauce. Then serve with grated cheese, a dash of black pepper, red pepper, and an extra drizzle of olive oil. 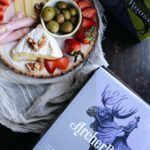 And just like that, you’ve got a delicious summer spread with a deliciously refreshing summer wine. 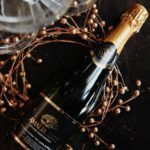 Overall, I was very, very pleased with the wines I received from Ca Maiol, and can wholeheartedly recommend them to my readers for the summer season. What a great meal! 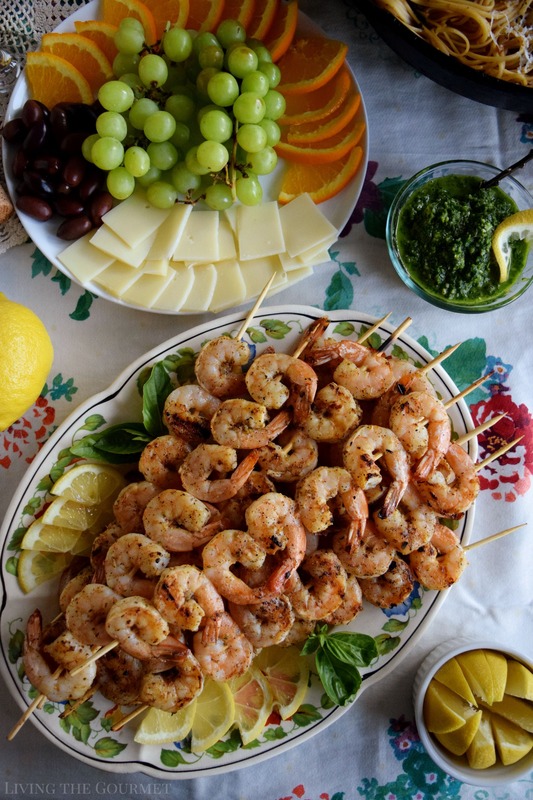 Those grilled shrimp skewers look mouthwatering. 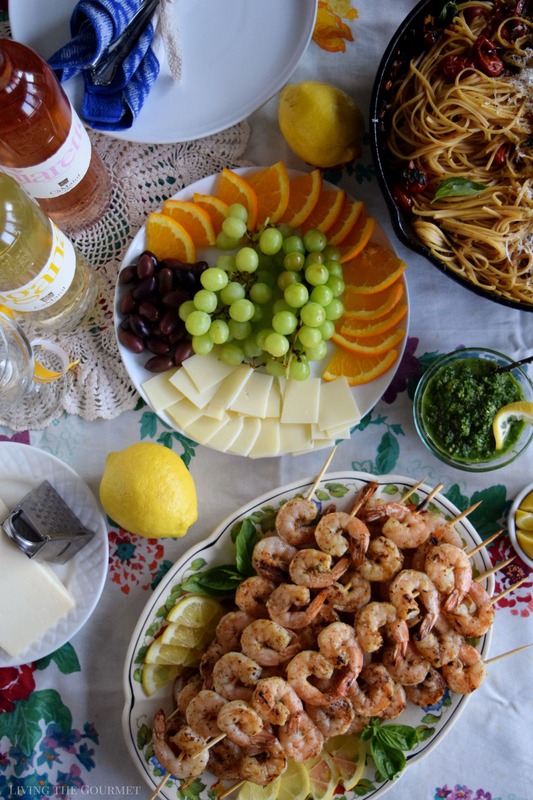 Really I love this, love shrimp and love white wine! hugs! This looks amazing and I cannot wait to try it! It has everything I love--wine, pasta and seafood. Delicious!! Summer is all about grilling! I love this delicious shrimp recipe paired with wine. And that linguine looks amazing. 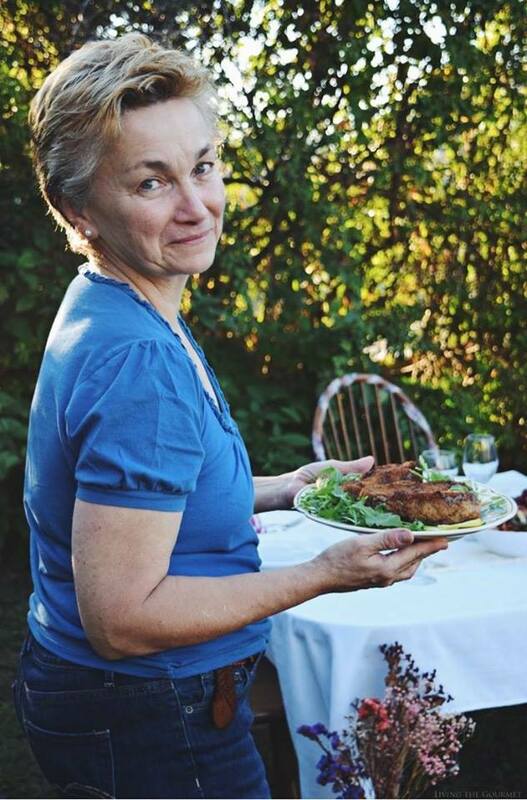 Thank you so much for sharing this food-and-wine-pairing inspiration! Wow what a feast! Beautiful pairings and that wine looks so crisp and refreshing. This menu is elegant but perfect for al fresco dining yummy! What a beautiful spread!! And yes, I agree, summer and balmy days require light eating and shrimp on the gill are the best. The gremolata is the perfect finishing touch. And a nice light wine to go along with that gorgeous meal is just right. Wow what a wonderful table spread. Everything looks so tasty. Shrimps are one of my favorite things and pasta looks beyond delicious. Love the wine pairing too. Perfect! What a great meal! 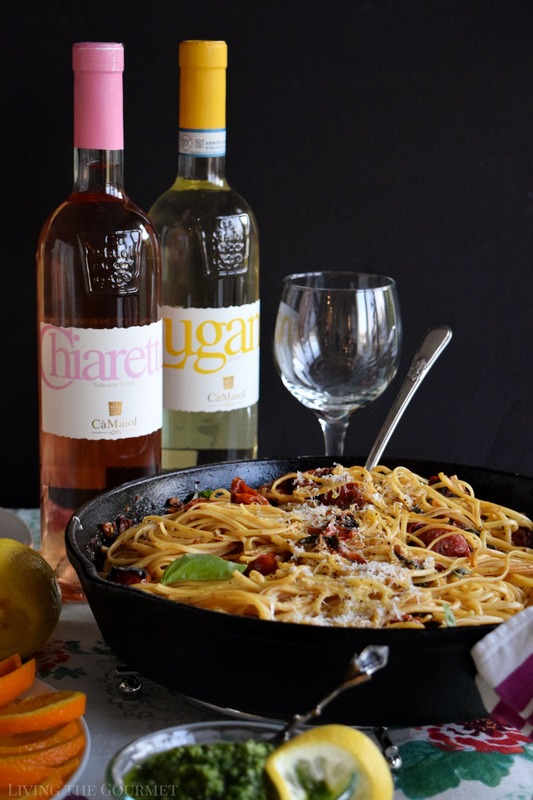 Recipe is the perfect combination of flavors and that wine looks lovely and so crisp. Perfect pairing!